Located below the North Bay of Manchester’s Media City, The Lowry is currently exhibiting a Pre-Raphaelite exhibition alongside the works of the man himself, L. S. Lowry. While Media City buzzes with energy, the contrast with the quiet and relaxed exhibition provides a moment of personal solace in the midst of the hussle and bussle of Manchester life. The exhibition began with the Pre-Raphaelites. The sheer quantity and variety of works exhibited felt like a true immersion in the Victorian era, while the meticulous detail and rich colours of the Pre-Raphaelite oil paintings still remains vivid in my mind. The 19th century reformist student group, also known as the Pre-Raphaelite Brotherhood, were largely students at the Royal Academy. 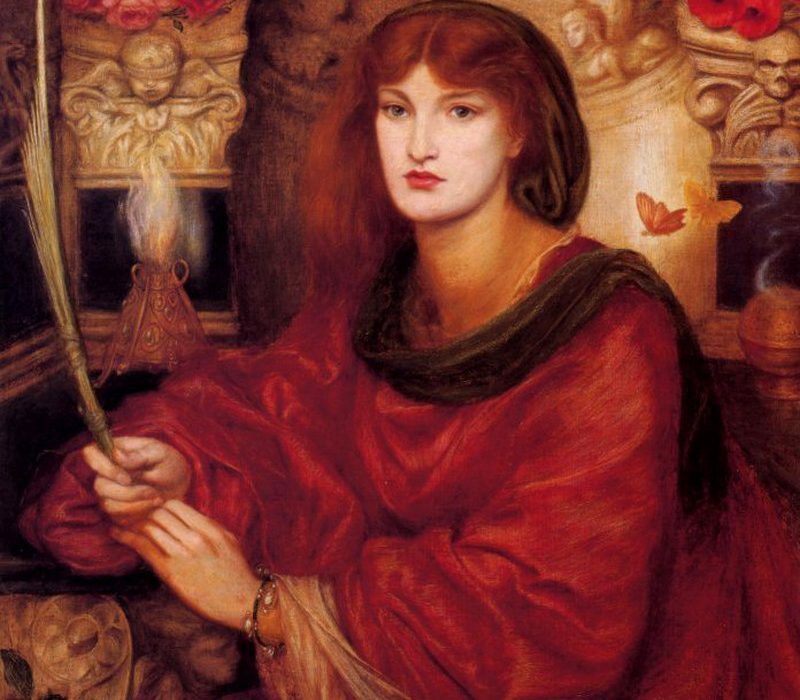 In an act of rebellion against the Academy’s traditional artistic standards, the Pre-Raphaelites collaborated to create an artistic style which was certainly niche for its day. The student-teacher disagreement stemmed from the work of 16th century artist, Raphael, who was deemed by the Pre-Raphaelites to corrupt art with his imagined and elaborated religious images that were untrue to reality. Thus the Pre-Raphaelites’ core motivation was in opposition to the artistic style of the Raphael, seeking to paint something closer to realism. The next room transitioned into the famous works of Manchester’s very own, L. S. Lowry, and it came as a pleasant surprise to be reintroduced to the distinct characters of his works that I had grown up with as a child. Through Lowry’s appreciation and admiration of Pre-Raphaelite art, a definite affinity between the Pre-Raphaelite collection and Lowry’s works was revealed, which I was certainly unaware of prior to the exhibition. Members of the Pre-Raphaelite group, such as Dante Gabriel Rossetti and the second-wave of artists which included Ford Madox Brown and Edward Burne-Jones, feature frequently throughout the exhibition as Lowry’s personal favourites. The recurring nature of some of Lowry’s most famous featured characters such as ‘Ann’ was inspired by the Pre-Raphaelite tendency to depict their female subjects in several environments and emotional states. The synergy of these two movements, however, does not stop there. In the same way that the female subjects of the Pre-Raphaelites appear ambiguous, Lowry’s enigmatic character, Ann also evokes this ethereal quality. In fact, Lowry often resorted to quoting Rossetti’s phrase: “They’re not real women. They are dreams.” when justifying his work. An aspect that I found refreshingly surprising about the Pre-Raphaelite paintings was the de facto diversity of the ethnic and social backgrounds of the models featured. At a first glance these women are white and conventionally beautiful, however their personal heritages go beyond the traditional white and upper-class identities of many muses of the era. Indeed, Marie Stillman came from an “Anglo-Greek” community, while Maria Zambaco was born in Athens, and Annie Miller, who features in the painting The Awakening Conscious, was from the slum area of Chelsea. This exhibition reasserts the importance of rebellion, in rejecting conventions of ‘beauty’ and ‘art’, instead seeking to depict something real. Despite being a movement of the past, it has relevance today given the construction of the idea of beauty in the media and capitalist branding. I hope that this acceptance and celebration of diversity can continue to be portrayed in the arts, with women of all colours and shapes frequenting our screens.